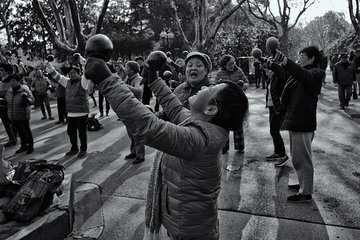 Experience Shanghai’s morning exercise rituals with this half-day guided excursion. After a convenient hotel pickup, enjoy a delicious dim sum breakfast (vegetarian option available on request) before heading to Fuxing Park. Learn to dance and sing like a local and practice Taichi with an expert, play swish ball and diablo, or practice your water calligraphy skills. Please note: both private transfer or taxi are only for hotel located in downtown Shanghai. If you hotel located in outskirt area, we can send you instruction of meeting point in downtown area. ends at Fuxing Park, from where you can take a taxi to your next destination or back to your hotel.